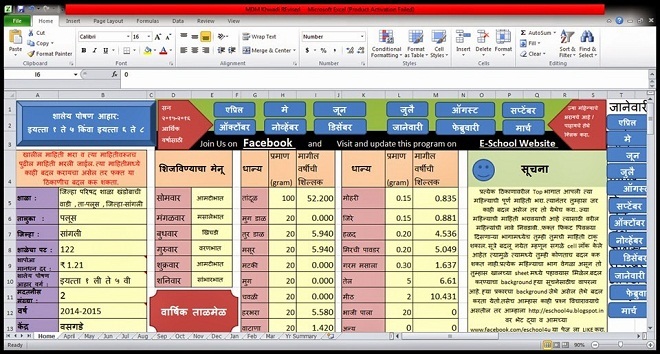 Maharashta Government recently launched Mid Day Meal Scheme through Saral Website Portal: https://education.maharashtra.gov.in/mdm. Firstly this scheme was launched in 22 November 1995. At that time Government give 3 Kg Rice free of cost to every student from 1st Std to 5th Std. In 2002, This scheme changed. From that time School cooked mid day meal at school. From 2008, This scheme is changed and mid day meal also started for 6th Std to 8th Std. >> First open the "Homepage" and then enter your School Pre Information. E.g. School Name, Daily Menu etc..
>> Click into Cell and you get a Dropdown Menu to use options in that. >> From Homepage you enter into any month. >> File is create from month April to March. >> Enter your DATA like Month, How many students, Dates etc. >> Starting of month, you need to add all details of grains. You want to fill daily information of Mid Day Meal then you can not fill this information through old version of MDM App. New version of mdm mobile app is available on official website of Maharashtra Education. First uninstall old app of MDM and then try to install new MDM Mobile App. Direct Link of New App of MDM given at below. 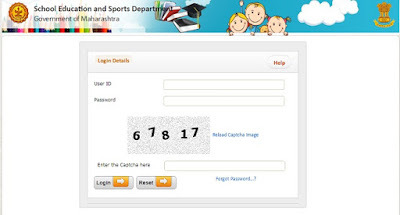 There are few simple steps to login your account through education Maharashtra. >> Enter your User ID and then your enter password first. >> Click on to Login Button. >> You got a your MDM Login. You have question regarding mid day meal Maharashtra App then you download it through Google Play Store. Otherwise you down on the official website and then select "Downloads" and go with Mobile Related Download. Take a Download of MDM App.